Watch Prince’s band the Revolution reunite to perform “Purple Rain” and more. 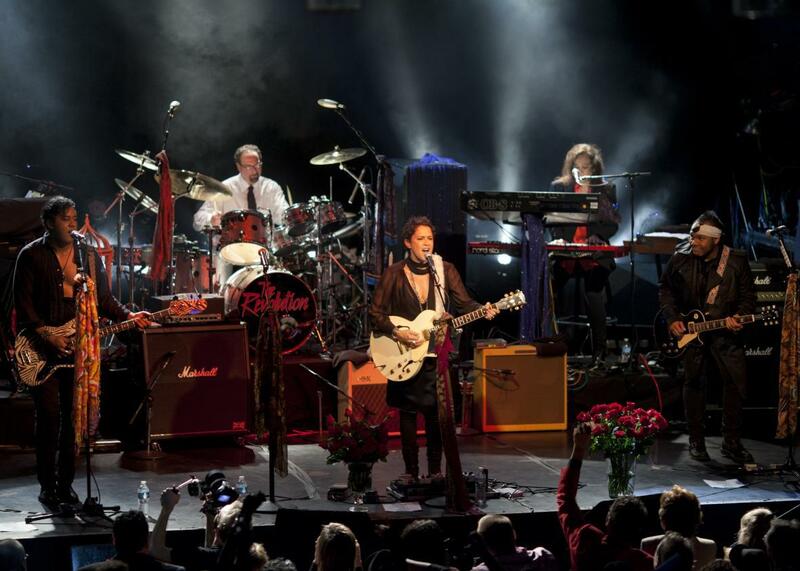 In July, three months after Prince’s death, the musical icon’s backing band the Revolution announced a series of shows to be performed in an effort to “heal and fill forever emptiness with sound.” Slated for the beginning of September, they were scheduled to be performed at First Avenue in Minneapolis, the main filming site of Prince’s Purple Rain, and include “special guests” such as Dez Dickerson and André Cymone. The first of three such reunion shows took place on Thursday night, with the Revolution performing songs ranging from “Purple Rain” and “Little Red Corvette” to “Let’s Go Crazy” and “Do It All Night”—and with Bilal joining the group to take on “The Beautiful Ones.” It was an emotional event, to be sure, with fans in tears at the sound of various Prince classics. Along with Dickerson and Cymone, band members Wendy Melvoin, Lisa Coleman, BrownMark, Dr. Fink, and Bobby Z. were gathered for the reunion.